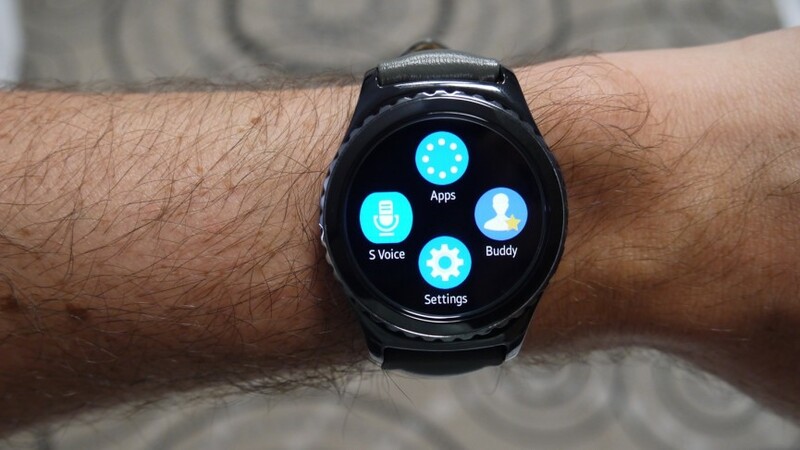 Samsung Pay is finally out of closed beta (into a public one) and has landed on the Samsung Gear S2. The company's contactless payment system has been delayed since last year. Many wearable companies are implementing NFC payments from the wrist and Samsung Pay isn't drastically different. With an S2, you'd be able to purchase items by holding your arm up to payment terminals that accept NFC thanks to the NFC chip in the watch. But Samsung has a slight leg up on Android Pay and Apple Pay because its system can already talk to existing payment terminals. The other two require stores to update their hardware. While some sites like Droid-Life have been able to successfully download Samsung Pay, we haven't seen the option just yet - but will update the story and S2 review once we've tried it out. A Samsung representative has confirmed to us that the Samsung Pay beta on the S2 is currently only available in the US but as the program expands, you should expect to see it in more places. Considering the wide acceptance of Samsung Pay and the S2's popularity, this could be a big boost for the pay-and-go system. .